The kitchen is the epicentre of a family home: Sunday roasts, morning toasts, and other less rhyming but equally crucial rites of English life. Respect the room and pick-up a sleek kettle, a griddle or a fresh toaster. 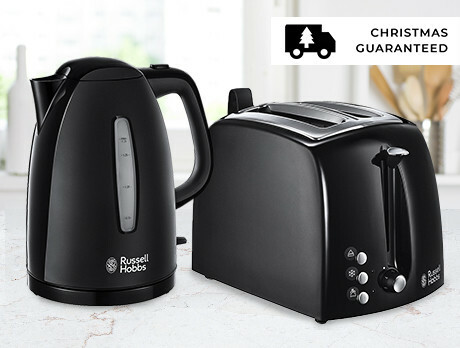 We've brought in a few Russell Hobbs items here; in 1955 Russell Hobbs invented the first automatic electric kettle. We owe Russell Hobbs. We owe the kitchen.